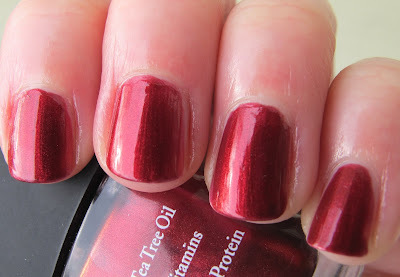 Never Enough Nails: Dr.'s Remedy Jolly & Joy Holiday 2011 Collection! 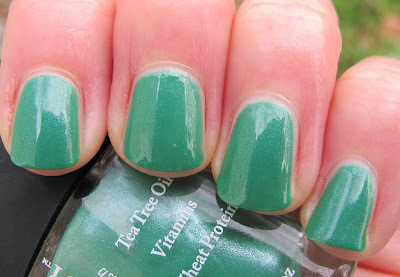 Just in time for the last day of Dr.'s Remedy's special deal on their holiday collection, I have swatches of Jolly & Joy! This collection is fabulous for the holidays, featuring red and green, but in a way that feels fresh. The polish I couldn't wait to try out was definitely Essential Emerald. Wowza!!! Is this polish pretty, or what?? Essential Emerald is a jade green polish with very delicate shimmer. 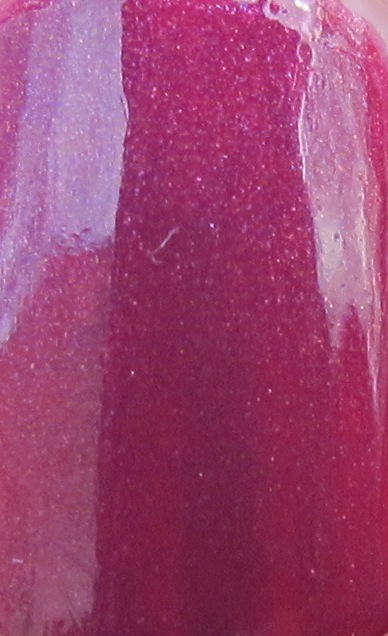 The shimmer is that really fine kind that from you can't see from far away, but it really adds depth to the polish. I don't own anything this particular shade of green and that's saying something!! 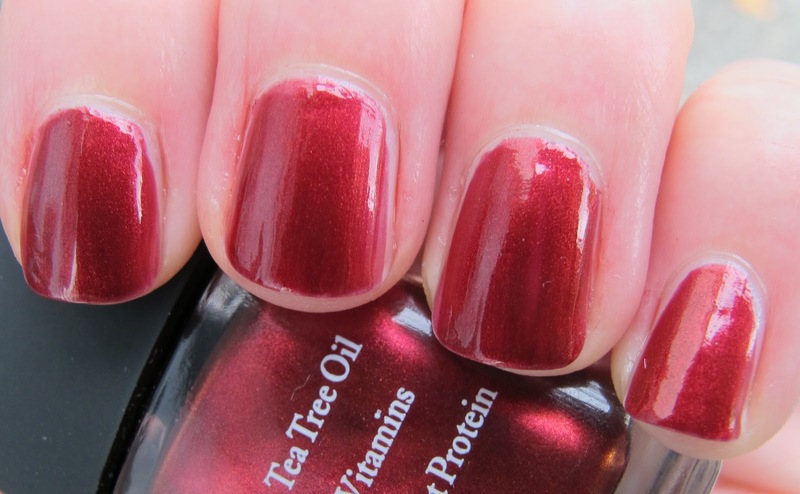 This color is unique and great for the holidays or any other time of the year!!! 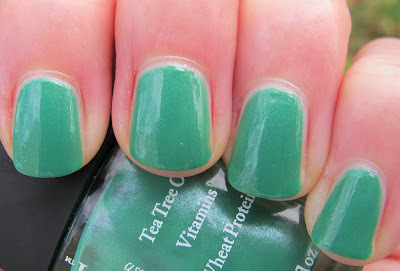 For these pictures, I used three coats of Essential Emerald, but I would probably wear just two. The formula was good, a bit thin, but that didn't make application difficult. 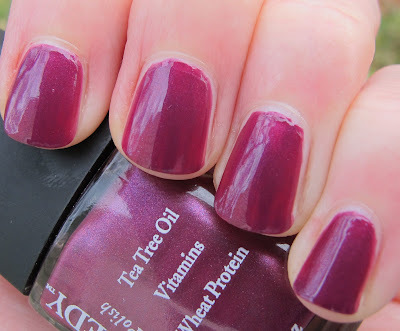 The bubble in my middle nail was caused by my top coat, by the way, not this lovely gem! 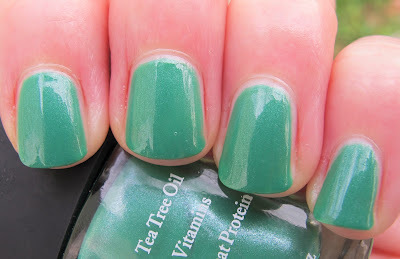 I loved this polish and highly recommend it to lovers of green! Next up is a polish I have reviewed before, Revive Ruby Red. Revive Ruby Red is a real true ruby red shimmer, not blackened or too bright red. I loved this color before and still really have a soft spot in my heart for it now. However, I had some troubles with the formula on this one. The first bottle of Revive Ruby Red I received last year was perfect, I described the formula as "nice and smooth. No problems at all." This time, I experienced some problems with the polish running into my cuticles. Hopefully, I just received a bad bottle this time. The formula of my old bottle really is great, so I hope they haven't changed anything. The good news is that this was totally opaque in two coats. Passion Purple is another winner, a deep eggplant shimmer. I love deep purples like this that, despite being dark, manage to always look purple, NOT black. Not that I don't love black, but sometimes you just want a good dark purple, right? And they are really hard to find! But Passion Purple manages to stay true to it's purple soul. 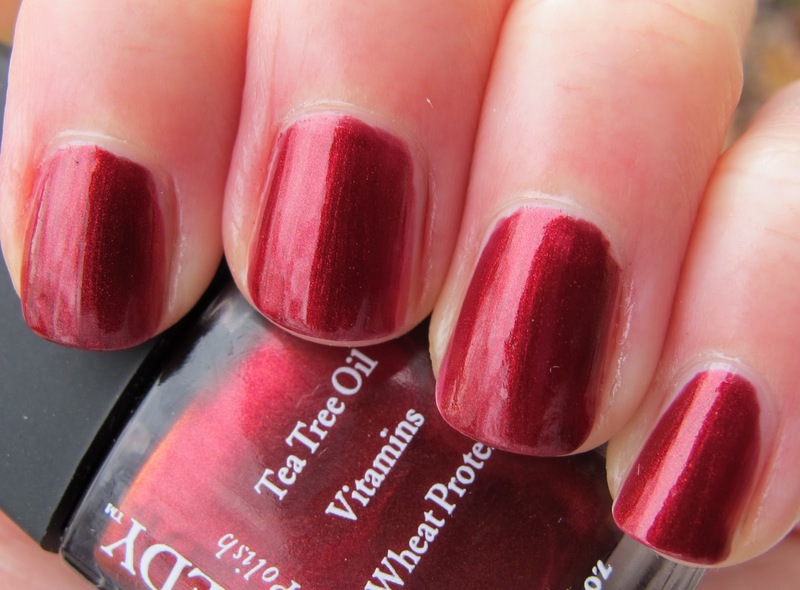 This is the kind of color I wear non-stop during the winter months, especially on toes. The formula on Passion Purple was great, nice and smooth application. This is two coats and it's fully opaque and even. Hassle-free is the way to be in a holiday collection! Now, I saved the best two for last. OMG THESE GLITTERS!!!!!!!!!! WHY DOESN'T DR.'S REMEDY DO GLITTERS 24/7?????? 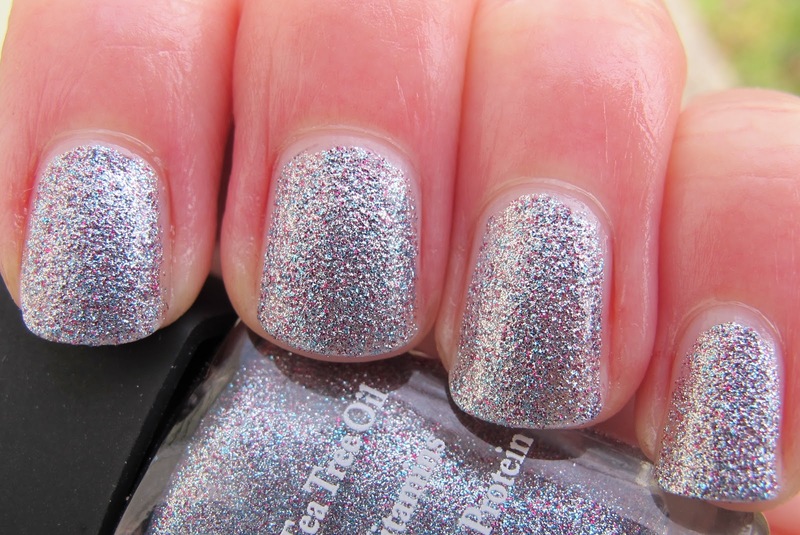 Serene Silver Glitter is an unbelievably sugar-fine silver glitter in a clear base with super-fine red and maybe pink glitter pieces strewn about. This glitter is so sugary and fine, it's so cool!!! This makes it opaque in really just one coat!!!! I did two coats, because I was expecting to need more than one coat, but really.... one coat is enough here!! For those of you who hate chunky glitter, this is perfect! It's so smooth, but super sparkly at the same time!! Application was ridiculously easy for a glitter. For any polish for that matter. Like I said earlier, full coverage in one, maybe two coats if you have super long nails with very obvious white tips. Removal was easy too!! Overall, possibly the most amazing glitter I have tried. Definitely on my Top Ten of 2011 list. The only thing I dislike about Resolution Red Glitter is the name. It's not really red. 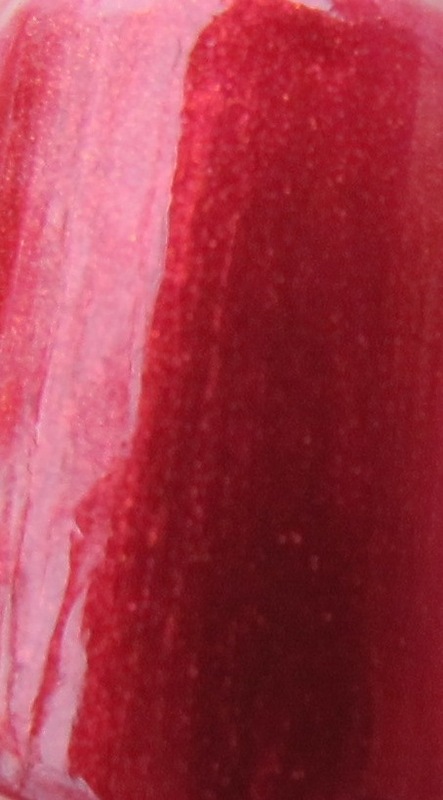 I suppose there is red glitter in there, but it looks kind of blush/pale copper colored overall. 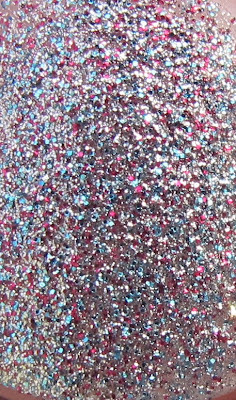 This is a really unique color glitter. It's hard to say exactly what color it is, but copper/blush/rose gold, whatever, it's gorgeous! 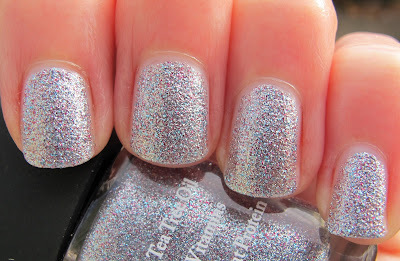 It's the same degree of awesomeness as Serene Silver Glitter. Same sugary-fine glitter. Same coverage. 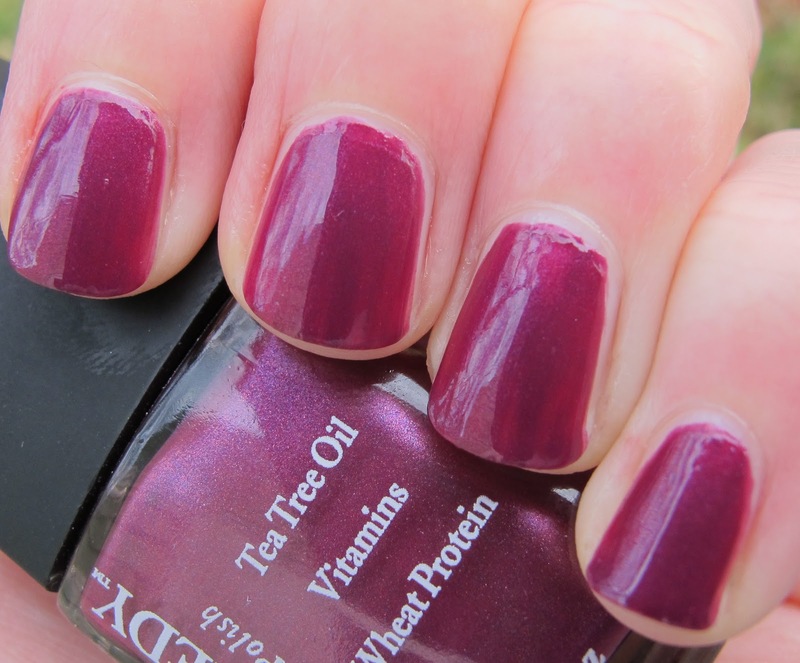 This is a glitter for the fan of natural-hued polishes. Maybe Resolution Red Glitter will help glitter-phobes expand their horizons. 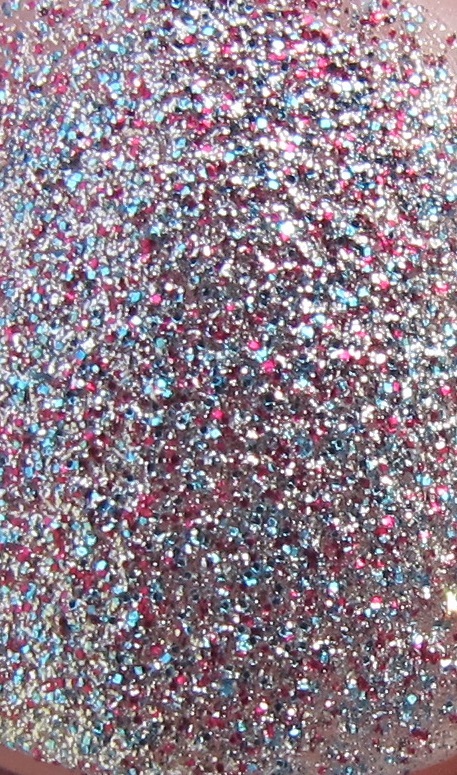 These two glitters are just so amazing, I can't even. They both will look fantastic year round, not just during the holidays. They would also make excellent "starter glitters" for people who are afraid of glitter. 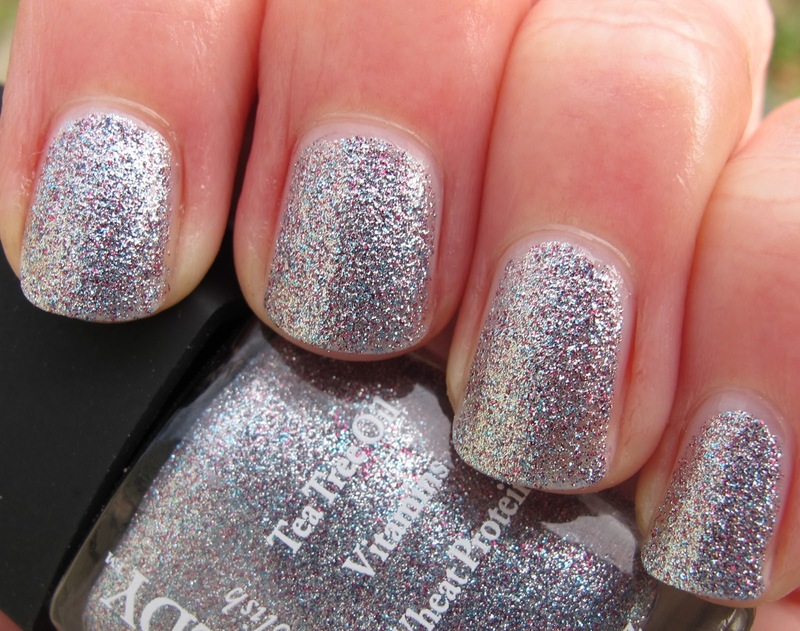 They're easy to apply, easy to remove, and look sophisticated, not like middle-school age glitter. I hope Dr.'s Remedy makes more awesome glitters like these in all sorts of colors. Overall, I love this collection! Great colors, great formulas for the most part (I think Revive Ruby Red was just a bad bottle). And those glitters!!! OMG. Go buy them now while they're only $14 and free shipping!! They are worth every penny, believe me. The Dr.'s Remedy Jolly & Joy collection is available now at remedynails.com. Don't forget to "Like" Dr.'s Remedy on Facebook and follow them on Twitter. These polishes were sent to me for review by a PR agent for Dr.'s Remedy. For more information, please see my Disclosure Policy. Ah, the silver glitter is my favorite too! 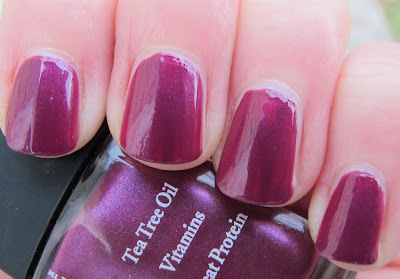 And Passion Purple will be on the blog again in a few days, so keep looking!